The diverse camping services guarantee a relaxing camping holiday surrounded by breathtaking scenery. Kylmäluoma campsite is open from mid November to the end of October. 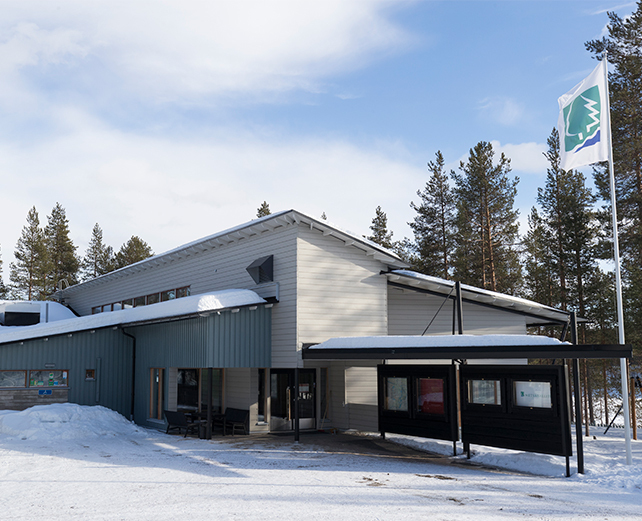 Karhunkainalo campsite in Hossa is open March- October. Karhunkainalo campsite is located in the enchanting landscape of Hossa National Park, on the shore of Öllöri.The campsite has 49 caravan spots with electrical connections and tent places.The cooking and dining facilities in the maintenance building are free for guests to use.Under the same roof, one will find toilets, showers, non-stop saunas and baby changing facilities, as well as facilities for laundry and ski maintenance.There is also a sauna for rental on the shore of Öllöri.The visitor centre’s dining, program and guidance services are available as part of a camping holiday.It is possible to take care of chemical waste for RVs and caravans at the campsite. 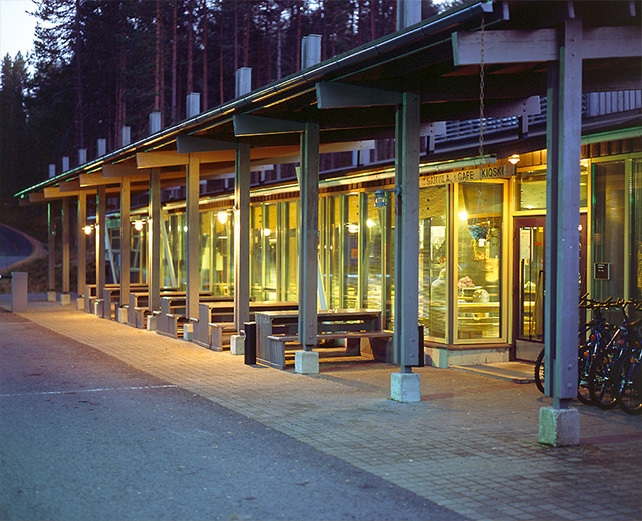 Kylmäluoma campsite is located in the heart of nature, in fine landscape, overlooking fish-rich waters.The campsite is known for its atmospheric lakeside saunas, good service and clean environment.The acclaimed fishing waters, hunting land and trekking trails are easily accessible in Kylmäluoma. The campsite has caravan spots with electrical connections and tent spots.A summer kitchen allows one to cook for themselves.Those who wish for easier dining can utilise the visitor centre’s café-restaurant.Toilets, showers, saunas, laundry facilities, fish processing room, and dry chemical tank drainage area are located in the maintenance building.Guests at the campsite may partake in the hobby activities offered by the visitor centre. RV spot 16 € / day + 4 € / person, 1 € / person, children under 15 years of age. RV spot with camping card 14 € / day + 4 € / person, 1 € / person, children under 15 years of age. RV with SF-Caravan card 14 € / day + 4 € / person, 1 € / person, children under 15 years of age. Overnight costs include the use of a sauna in the maintenance building.